Call the FAU helpdesk at 561.297.3999 and choose Option 2. If you are logged into Canvas (https://canvas.fau.edu), click on the Help icon at the bottom left corner, under the global menu. 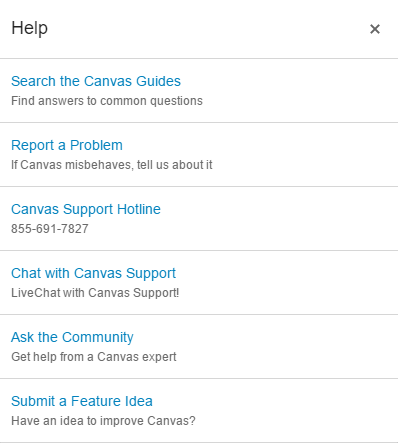 You will be able to chat with a Canvas representative by clicking on “Chat with Canvas Support” or you can choose to “Report a Problem,” which will submit a ticket to Canvas Support.